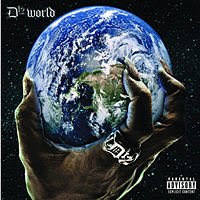 Aside from having a lazy title and an equally weak cover, this record surpasses D12's debut pretty easily. They got the radio single completely out of the way with the dumb-but-somehow-likable "My Band," and they spend the remaining 70-some minutes just going nutso. Sometimes it works, and even when it doesn't, it doesn't really matter. It's chaos, and there's always something coming next. Eminems opening on "Git Up," the album's first track, is so strange, and comes so close to not working at all, that it's impossible to turn away from. And while "U R the One" represents the same sort of "love song with the D12 twist" that they struck out with on the first record a few times, they pull it off here, though not without a terrible verse from Bizarre that almost kills it (he wears a WonderBra!). The 1-2-3 of "How Come," "Leave Dat Boy Alone," and "Get My Gun" is smack-dab in the middle of this one, and it's probably the strongest section of any of their recorded output so far. It gets a little spotty after that, but if you skip the skits it's tolerable. Again, Bizarre turns what could be an almost great record into a good one with his lack of skills, terrible lyrics, and dead personality. He's a half-ton hindrance, and only when they kick him out of the group will they realize their real potential. Oh, and I think "Loyalty" feat. Obie Trice is a pretty cool song.